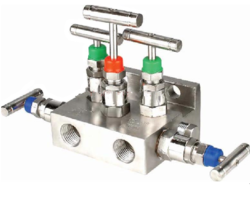 With our years of experience & in-depth knowledge in this field, we are engaged in offering a quality-assured array Five- Valve Manifold,Direct Mounting - T Type. We are the leading manufacturer and exporter of Valve Assemblies, we can supply to our client as per their requirement and their application. 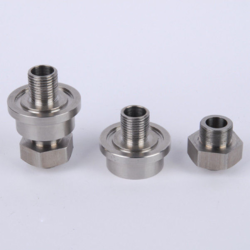 We are one of the leading manufactures of CNC Turned Precision Components that are manufactured using quality raw material such as forged steel, stainless steel, brass, copper, aluminum, cast iron and carbon steel plastic with surface treatment of zinc, nickel, chrome. With rich expertise, we have the capability to offer these components with accuracy and precision as per drawings and samples with electroplating, polishing, buffing and heat treatment as per the specific requirement of our client’s. Our plant facilities for manufacturing these components include state of art CNC VMC machines. These are widely used in paper industry, automobile industry, aircraft industry, valves manufacturers and textile industry. 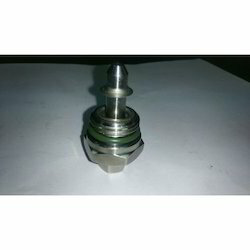 Looking for priming valve parts ?